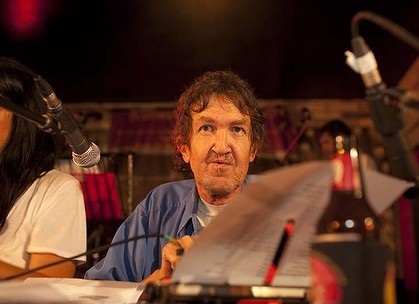 Australian journalist, author and musical satirist Andrew McMillan was buried in the rich red earth of the Northern Territory last month. Along with him in this Outback resting place were buried at least eight of his typewriters - some of which had been wired for sound, and become musical instruments. 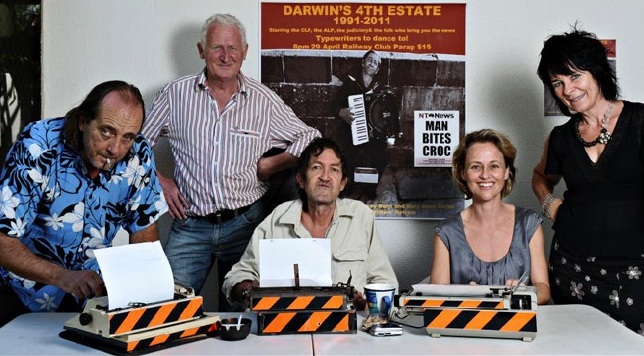 McMillan, a former Rolling Stone writer, was in 1991 a founding member of Darwin's Fourth Estate, a band whose politically-tinged satirical lyrics were punctuated by a rhythm section comprised of journalists tapping typewriters. Kate Wild, and Mary Anne Butler. Picture: Michael Franchid. McMillan “played” a Consul Supertyper - a typewriter that was modified by local electronics and sound wizard Colin Simpson and equipped with a pick-up to amplify the sound that the keys made. "The spacebar is to die for," McMillan once said. 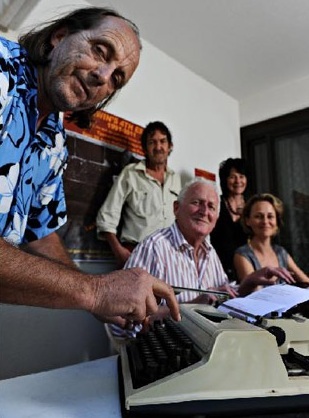 Described as one of the Territory's great eccentrics, McMillan was among the Top End's finest contemporary writers. McMillan was farewelled at no fewer than four wakes, starting with one when he was still alive, in December 2010, just after he had been diagnosed with bowel cancer. He died on January 28, aged 54. McMillan was buried outside Larrimah, a tiny township 333 miles south of Darwin. A friend said McMillan “Went into great detail and research and really cared about his subjects … I think he'll be remembered warmly for his dry wit [and] his typewriting skills in the Fourth Estate." McMillan was born on December 29, 1957, in Kew in Melbourne. He was first published while still at school, by Rock Australia Magazine (RAM) in 1975. In 1977, he joined RAM's Sydney staff. The move coincided with the golden age of pub rock (1977-84), "a sonic assault that McMillan helped define". 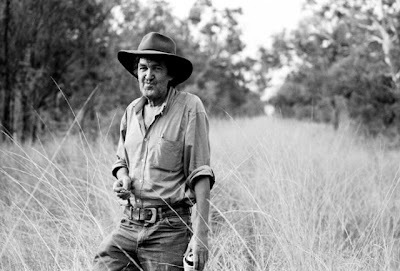 After seeing the Top End with the tour, McMillan moved to Darwin in 1988, "joining a disparate and reckless group of writers, artists, musicians and thespians who inspired the creation of a unique Territory arts culture".